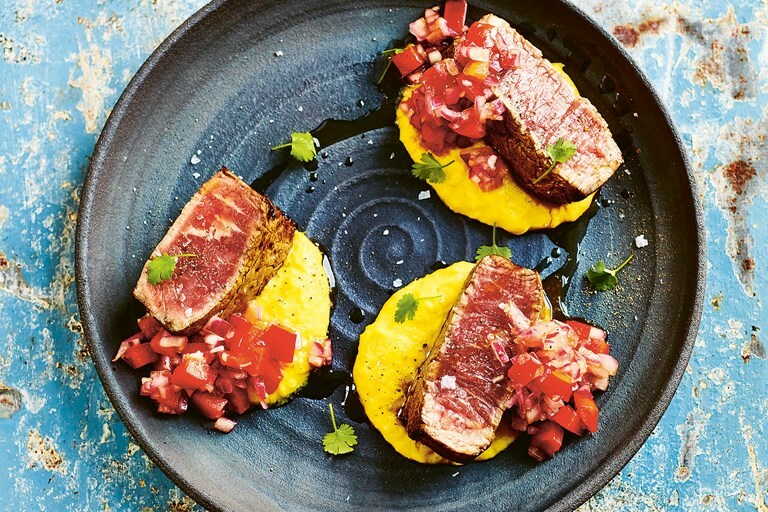 Martin Morales' beautiful escabeche steak recipe is served on a bed of creamed corn. If you can't get your hands on chocolo corn, just use a little extra sweetcorn instead. This recipe is taken from Andina: The Heart of Peruvian Food by Martin Morales, published by Quadrille. Photography by David Loftus. The marinade in this recipe takes the steak to the next level. A post-workout favourite for our customers at Andina, this dish is lean and rich in protein, and with the creamy corn giving it a final, indulgent twist, it’s unforgettable.